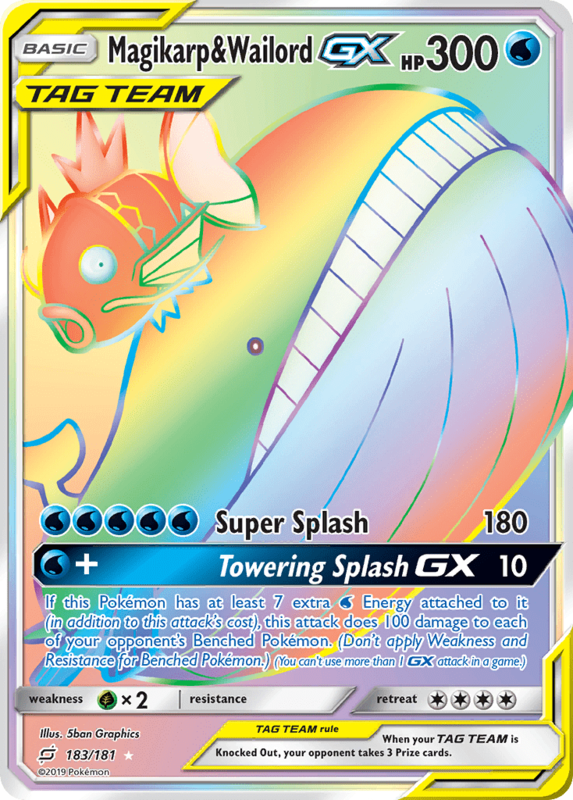 If any damage is done to this Pokémon by attacks, flip a coin. If heads, prevent that damage. 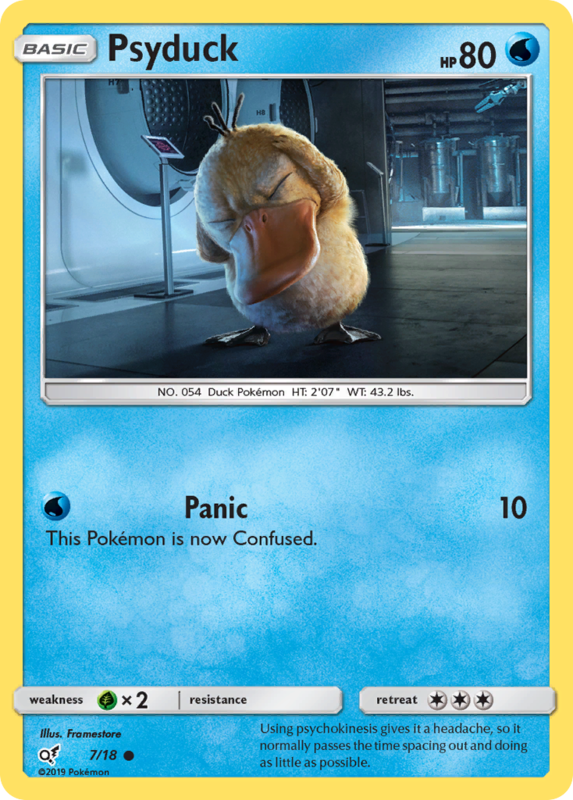 This Pokémon is now Confused. Using psychokinesis gives it a headache, so it normally passes the time spacing out and doing as little as possible. 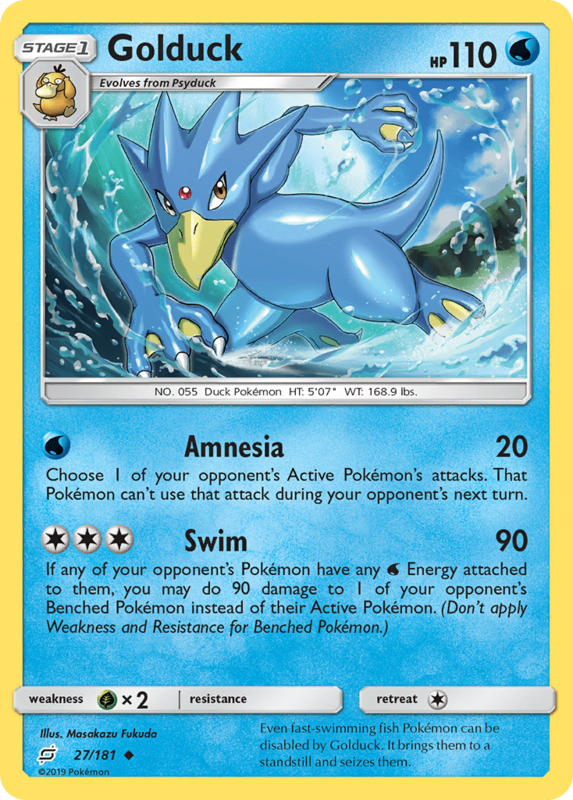 Once during your turn (before your attack), if this Pokémon is the last card in your hand, you may play it onto your Bench. If you do, draw 3 cards. 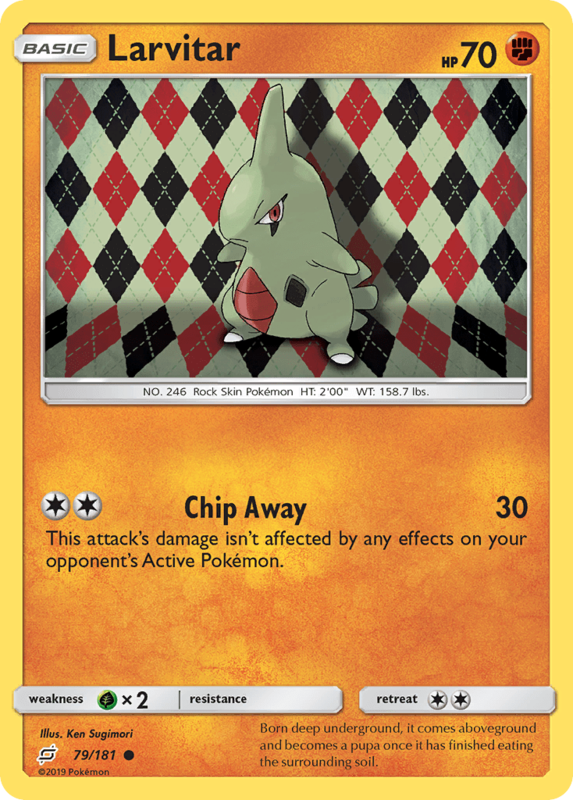 This attack’s damage isn’t affected by Weakness, Resistance, or any other effects on your opponent’s Active Pokémon. 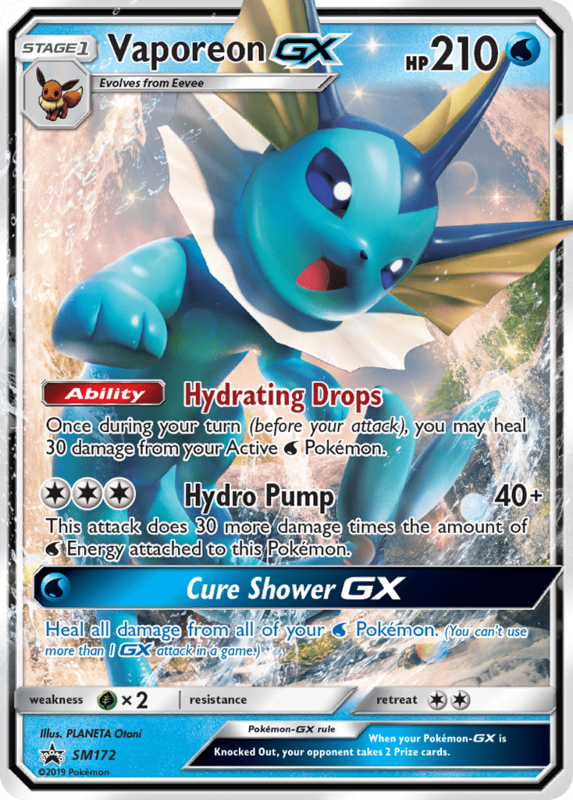 Once during your turn (before your attack), you may heal 30 damage from your Active [W] Pokémon. 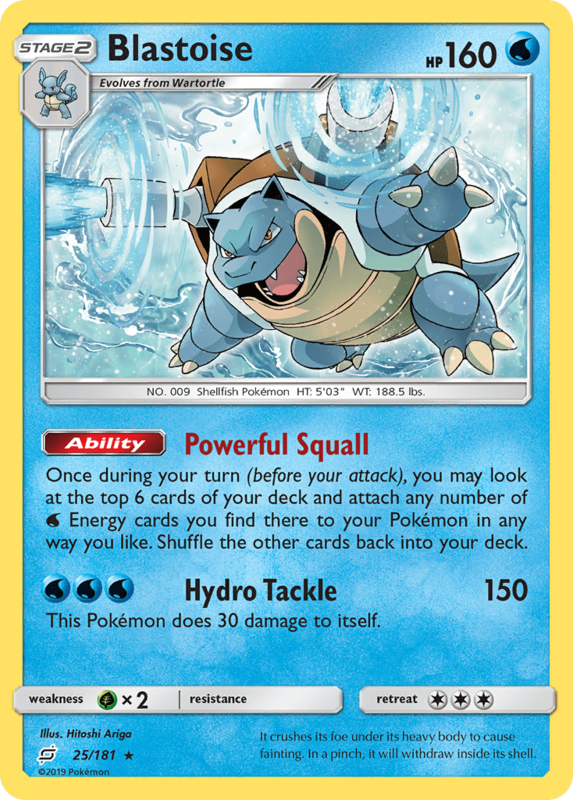 This attack does 30 more damage times the amount of [W] Energy attached to this Pokémon. 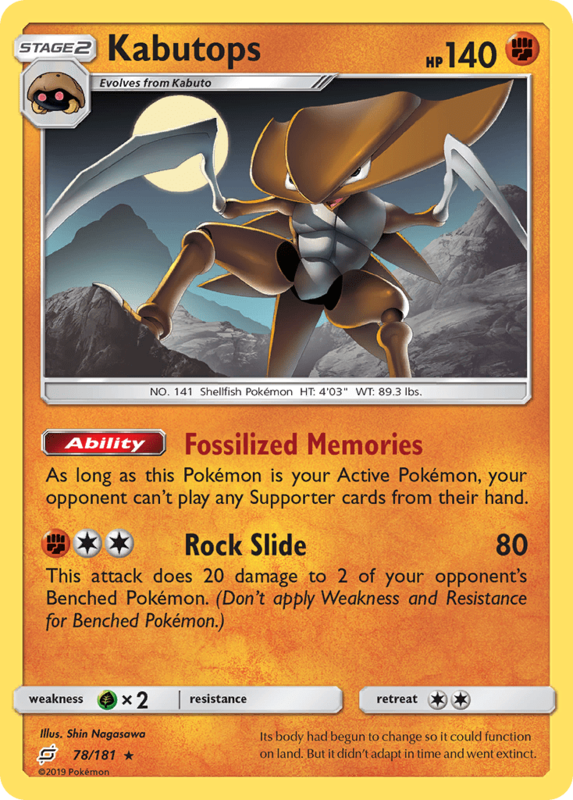 When you play this Pokémon from your hand to evolve 1 of your Pokémon during your turn, you may discard an Energy from your opponent’s Active Pokémon. Born deep underground, it comes aboveground and becomes a pupa once it has finished eating the surrounding soil. 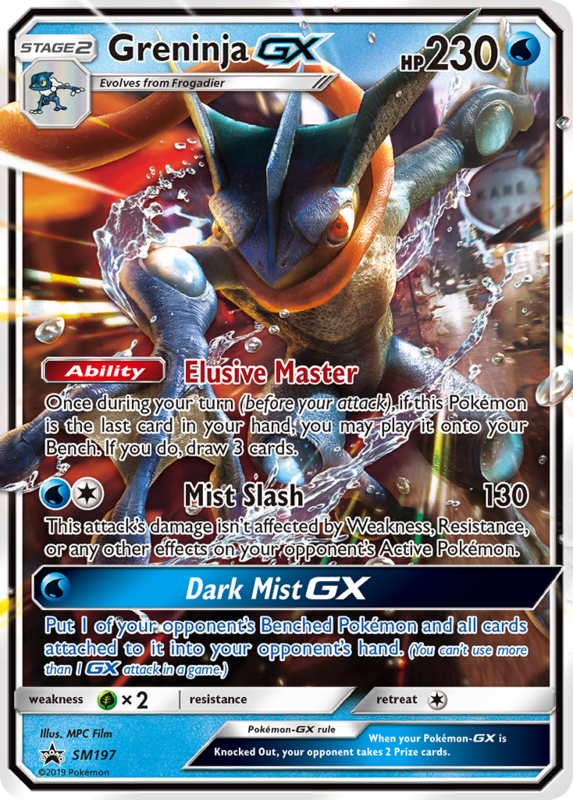 During your opponent’s next turn, this Pokémon takes 20 less damage from attacks (after applying Weakness and Resistance). 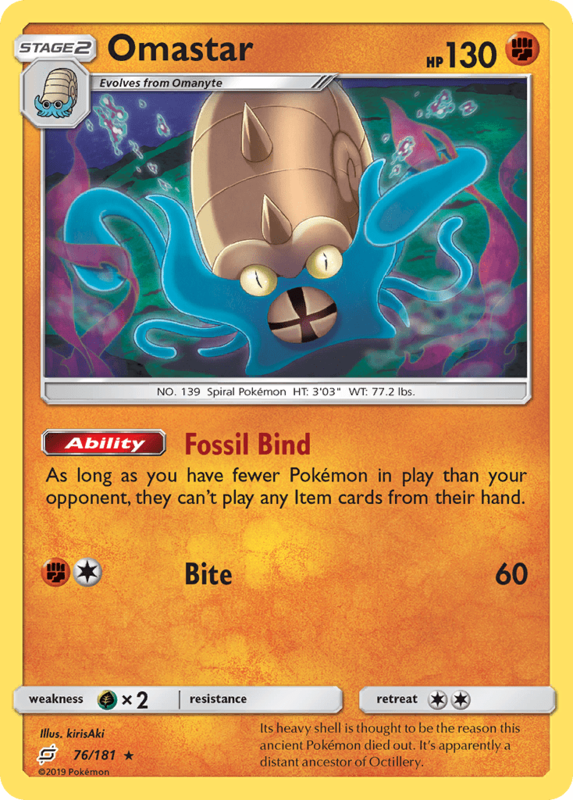 This Pokémon thrived 300 million years ago. It’s said that living specimens can still be seen in a certain region—a rare sight. 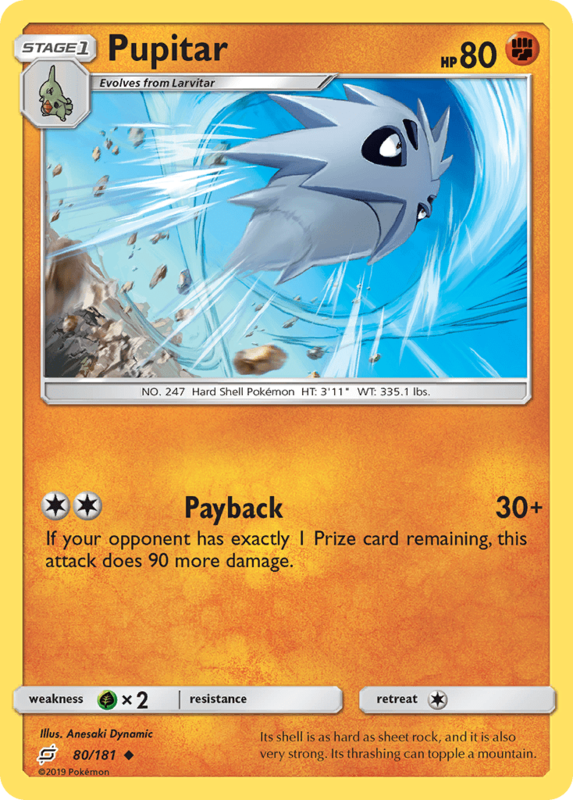 As long as you have fewer Pokémon in play than your opponent, they can’t play any Item cards from their hand. 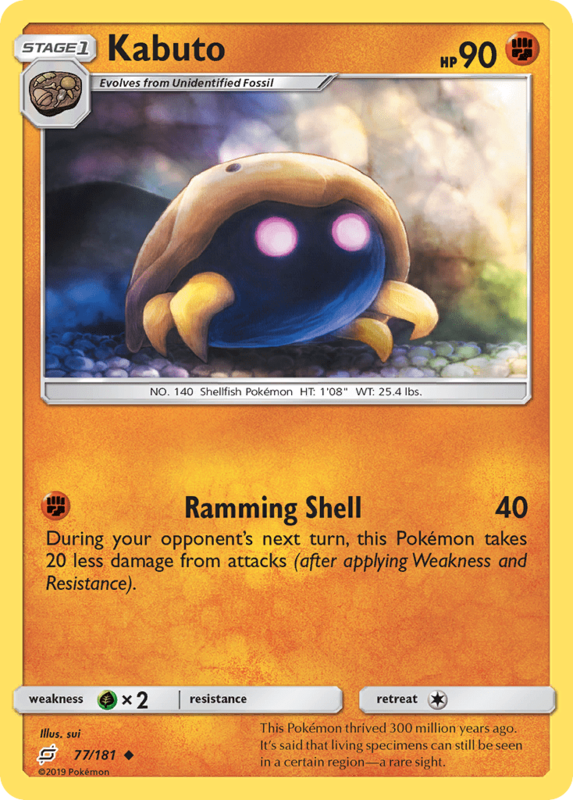 Its heavy shell is thought to be the reason this ancient Pokémon died out. 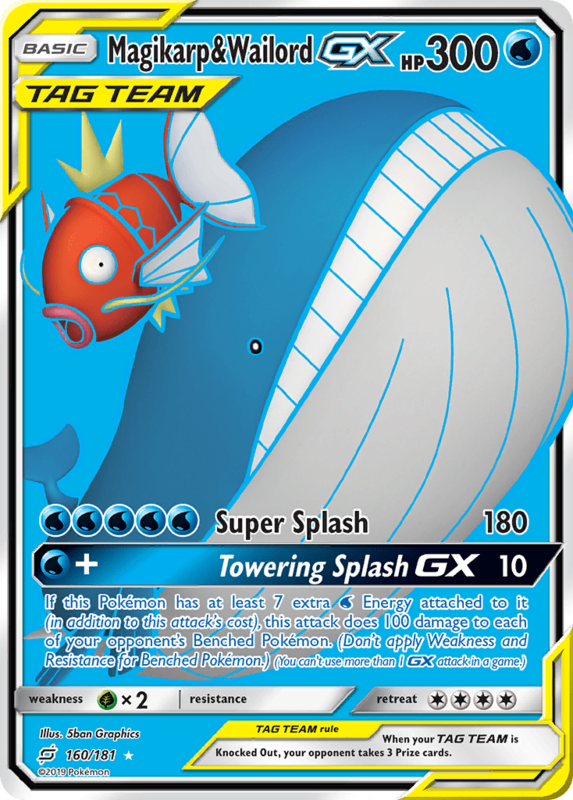 It’s apparently a distant ancestor of Octillery. 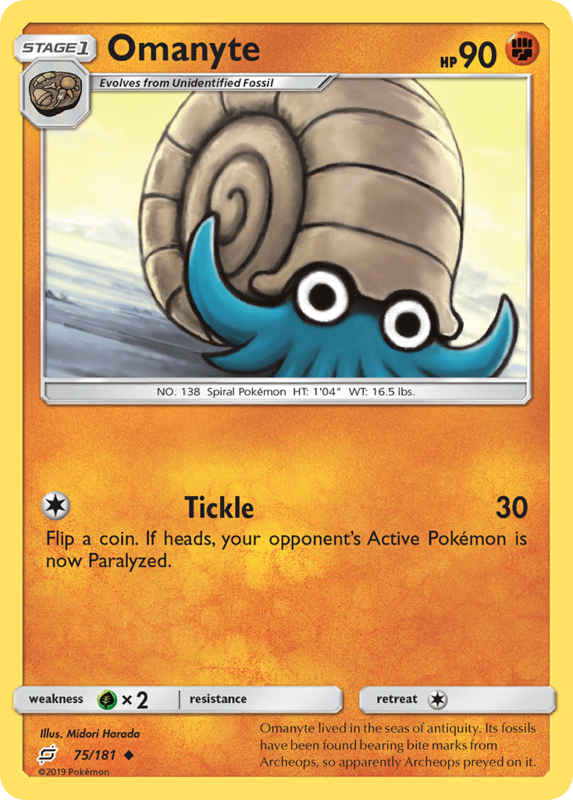 Omanyte lived in the seas of antiquity. Its fossils have been found bearing bite marks from Archeops, so apparently Archeops preyed on it. 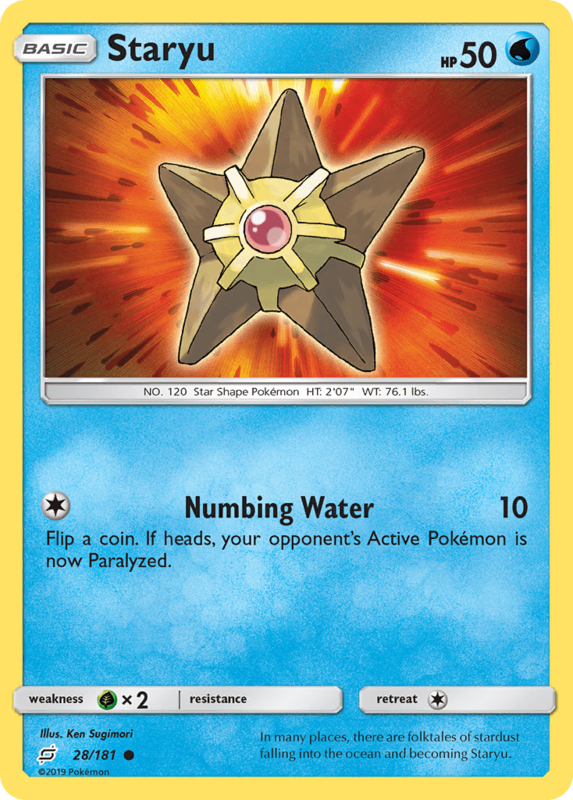 In many places, there are folktales of stardust falling into the ocean and becoming Staryu. 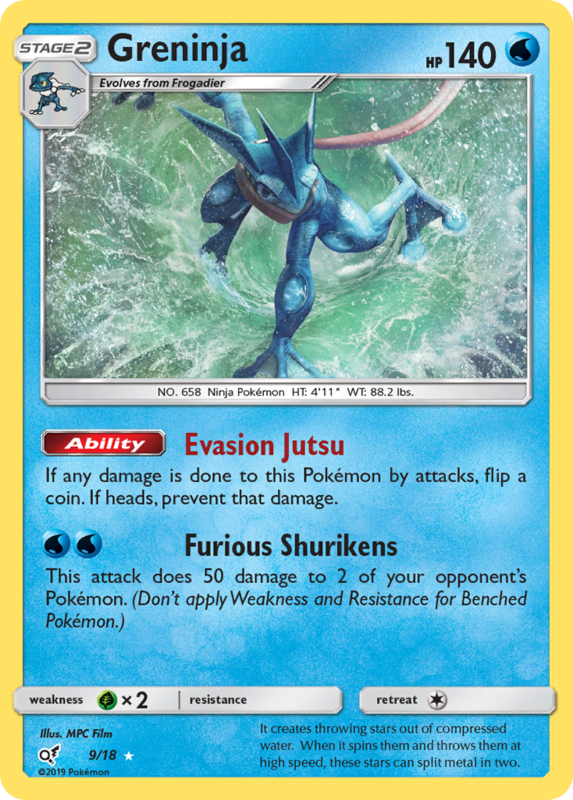 Choose 1 of your opponent’s Active Pokémon’s attacks. 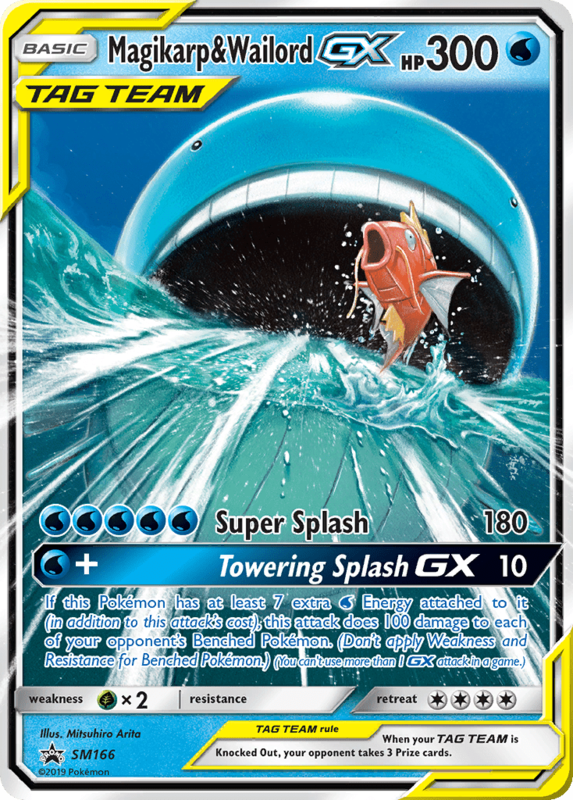 That Pokémon can’t use that attack during your opponent’s next turn. 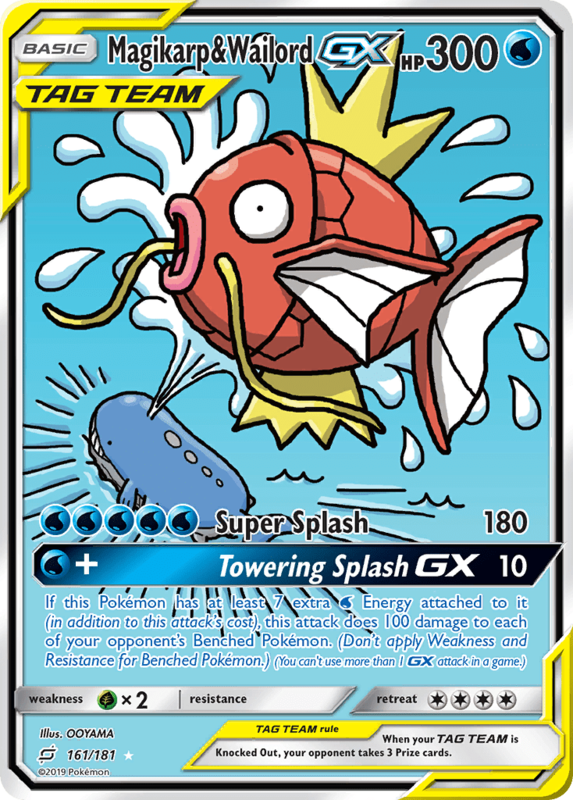 Even fast-swimming fish Pokémon can be disabled by Golduck. It brings them to a standstill and seizes them. Flip a coin. 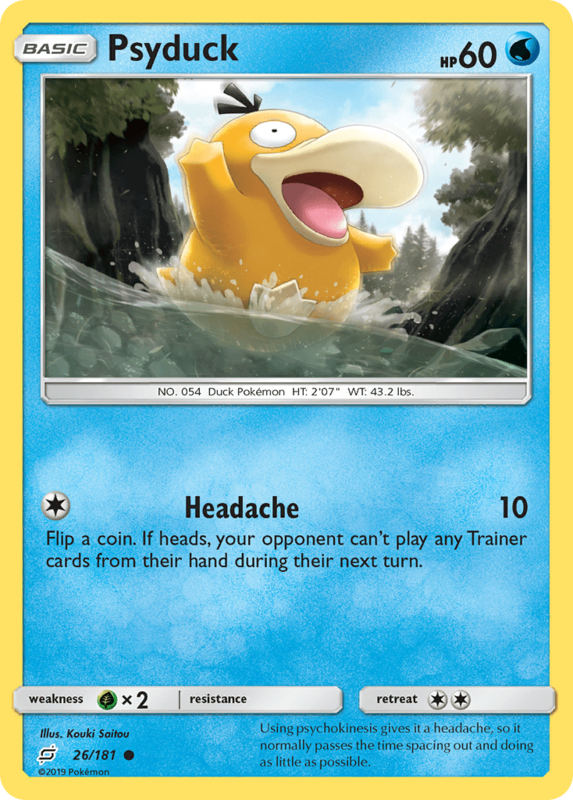 If heads, your opponent can’t play any Trainer cards from their hand during their next turn. 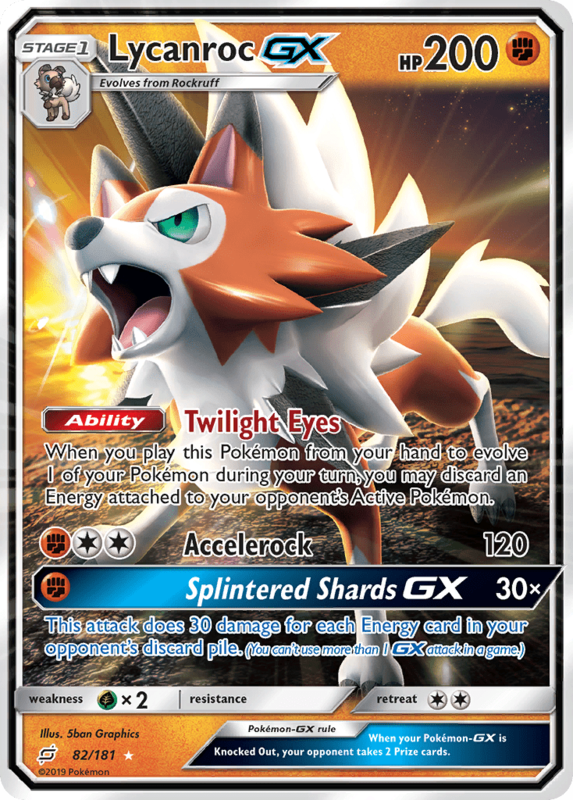 Once during your turn (before your attack), you may look at the top 6 cards of your deck and attach any number of [W] Energy cards you find there to your Pokémon in any way you like. Shuffle the other cards back into your deck. 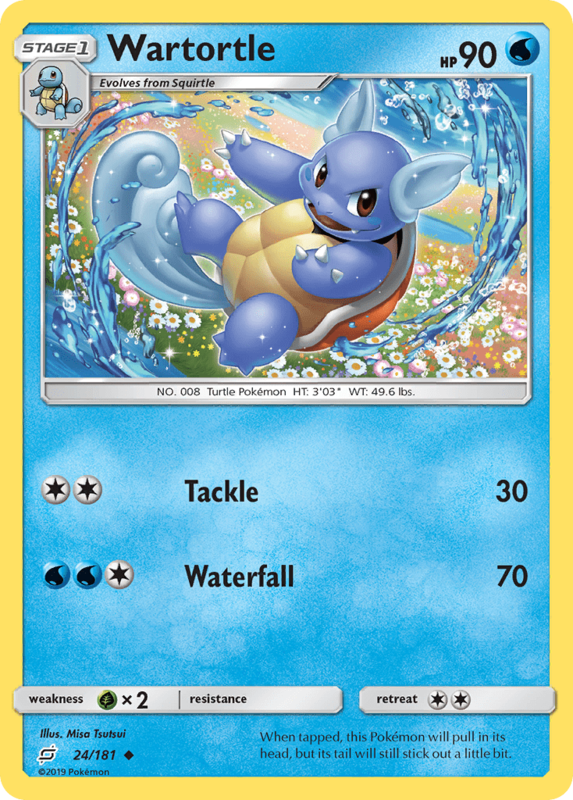 When tapped, this Pokémon will pull in its head, but its tail will still stick out a little bit.